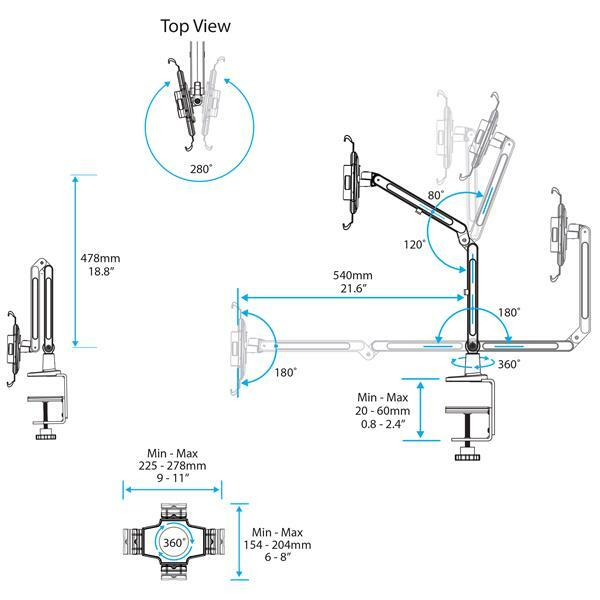 This desk-mount tablet arm lets you integrate your tablet seamlessly into any workspace by clamping it to your desktop or countertop work surface. This TAA compliant product adheres to the requirements of the US Federal Trade Agreements Act (TAA), allowing government GSA Schedule purchases. 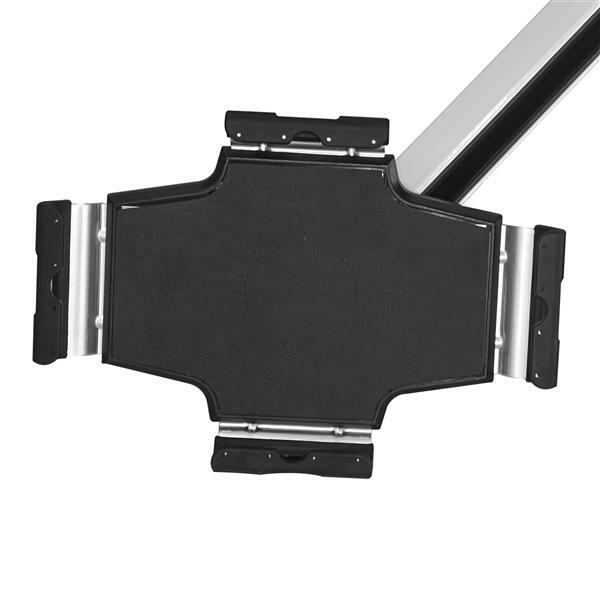 With this highly adjustable tablet holder, you'll be able to integrate your tablet into your workspace for maximum comfort and convenience. 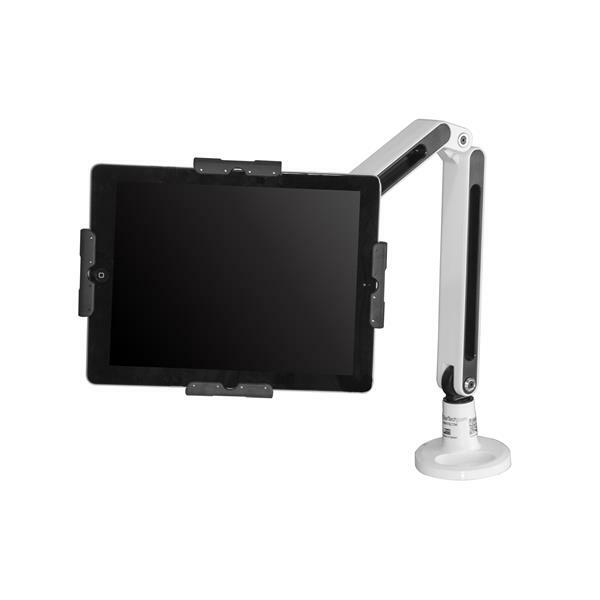 The stand features an articulating arm that enables you to easily position your tablet at the perfect height and depth for any application. 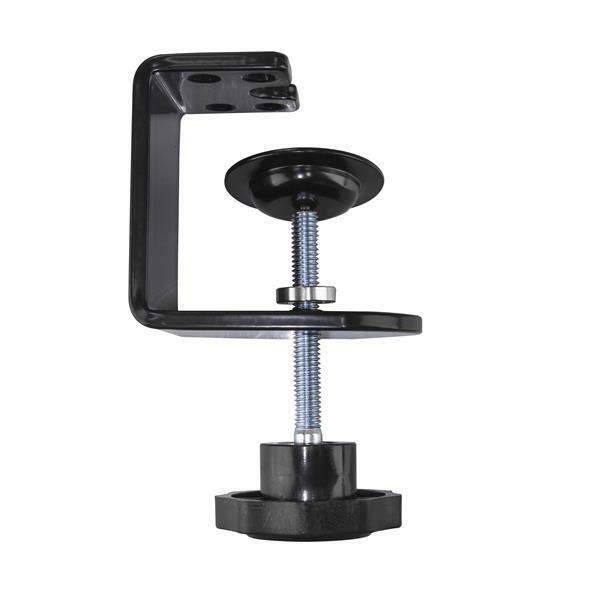 The tablet holder rotates 360 degrees and can tilt and swivel for optimal position. 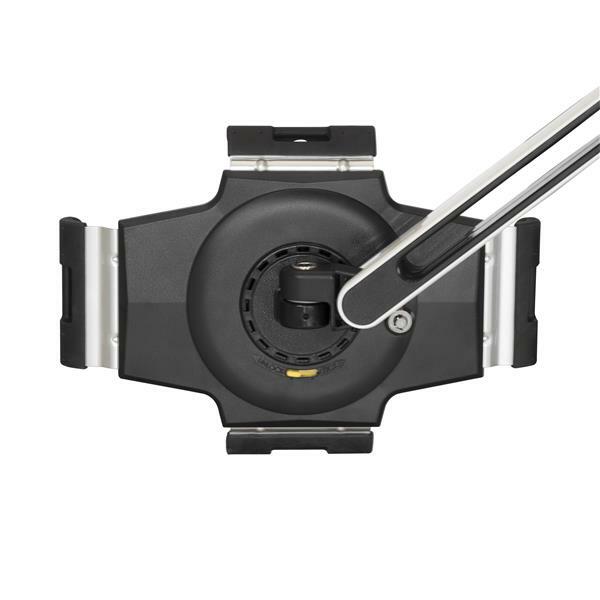 The tablet holder also has a locking security clamp that lets you ensure your tablet is properly secured. 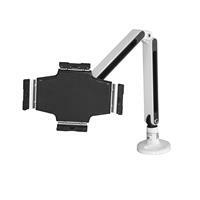 You can easily secure this tablet stand to your work surface, by clamping it onto your desk or countertop. Plus, the built-in arm discreetly manages your charging cable for a tidy, professional workspace, that enables you to charge your tablet while it's mounted. The tablet holder features a claw mechanism that lets you easily remove and remount your tablet with ease. This sturdy tablet holder ensures a secure home for your tablet with a solid-steel design that won’t drop your tablet if it’s bumped or knocked. The tablet stand combines this durable design with a sleek, professional finish that will look great in your home, office or storefront. 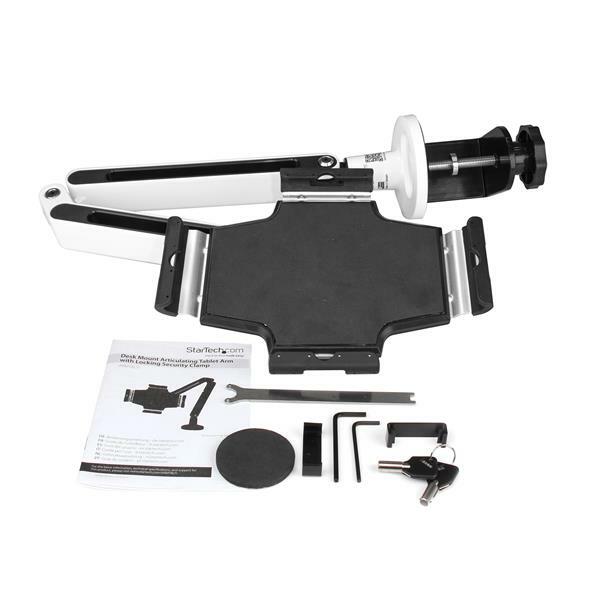 The ARMTBLTIW is backed by a 2-year StarTech.com warranty and free lifetime technical support.